Bengaluru, Oct 28, 2017 : Only four in every 100 doctors took up their mandatory stint of rural service in the past decade, with the rest paying the government a penalty instead. The Karnataka government has collected a whopping Rs 38.81 crore from MBBS, post-graduate and diploma students by way of penalty. 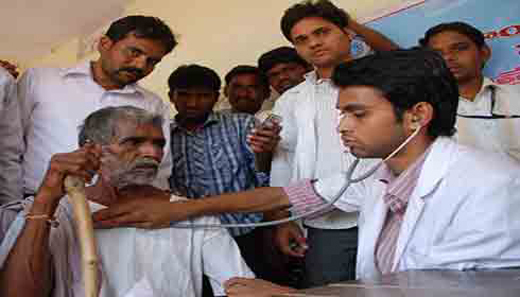 Of 12,682 medical graduates who studied under the government quota since 2006-07, only 522 have served in the villages. Only 91 of 5,348 diploma and post-MBBS students took up rural service. The government insists on rural service to provide healthcare in places where medical care is deficient. Doctors completing post-graduate courses are reluctant to work at the primary health centres. They say their specialisation can’t be put to use at the PHCs, which work with basic amenities. It is true doctors specialising in disciplines such as forensic medicine, microbiology, pathology, and biochemistry can’t put their advanced skills to use at the PHCs, but the government, which subsidises medical education, banks on them to provide basic care in the villages. Doctors with post-graduate specialisation want to be treated on a par with assistant professors and paid higher salaries. Officials say that can’t be done. Some say they have no protection from crowds that sometimes rough up doctors when a patient dies. Dr Sita (name changed), who completed one year at a village near KR Pet in Mysuru district, faced many challenges during her tenure. “We can perform normal deliveries. But if the case is complicated, we refer it to a bigger medical facility, and the patient’s family suspects we are shirking,” she told DH. The BJP government introduced the Karnataka Compulsory Service Training by Candidates Completed Medical Courses Act of 2012 which made it mandatory for all medical students to serve in rural areas. The High Court had granted stay on the implementation of the Act. The Congress government in June this year introduced The Karnataka Compulsory Service Training by Candidates Completed Medical Courses (Amendment) Bill. It lays down that those doctors who register with the Karnataka Medical Council (KMC) will have to mandatorily put in a year’s rural service. If they don’t comply, they are free to practise in other states.